I've done artists books that are totally hand made before such as this one http://sitekreator.com/viviensketches/ravelled_sleaves.html but, encouraged by Casey Klahn at the excellent http://pastelsblog.blogspot.com/ , I'm going to do a self published book of my seascapes using Lulu.com. I have no idea of how good the colour reproduction will be so this is going to be a leap in the dark. Casey's book looked so good and it would be fun to do one of my own. If it works I'll be able to offer it online and at shows. I'm going to try out one small book to see how the quality is. Go for it. Had a look at the Lulu site and it looks very promising. Just need to see the quality of the finished article. I wanted to publish what I call 'inspiration' books which are mostly images to look at. When I buy books it is to look at the images - I rarely read the text - I just like to look and absorb and enjoy. The main publishers don't seem to go for this idea except one in Aussie who did one of Pat Langford's books like this - loved it. Just pages of her sketches, paintings and finished stitched pieces. Keep us updated on how it goes. 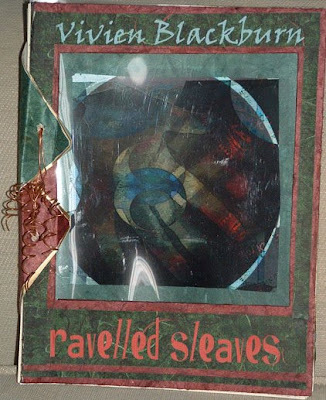 Others like the Shirley Trevena ones I did read cover to cover. I'm not planning on putting lots of text in - it will be mostly images. I think you should do one as you describe, it would be lovely. I think its a wonderful idea Vivien! It would be a real conversation piece and lovely tangible memory of your work at hand. I've toyed with this idea too, but haven't actually gotten beyond a little cataloguing and planning. I'll be watching to see yours progress. Gayle may be doing one with another company so we can compare notes on quality and colour reproduction. Exciting stuff. The artist's book sure looks good. I hope you won't feel cramped by the template style, since the creativity level at your other book is so high. Is Lulu asking for 300 dpi jpegs? It's a great idea, Vivien. I'd be very interested to hear more about your experience with this project. I joined Lulu more than a year ago, but need to visit more to get a better idea of the costs involved. Martha I'll be sure to write up the journey - I'm working long hours at the moment (including a boring and pointless training day today when I could have been painting/making the book!) so it may take time. Casey said it took a couple of full days to set his up and I'd check in on his blog and look at his - it looked great.